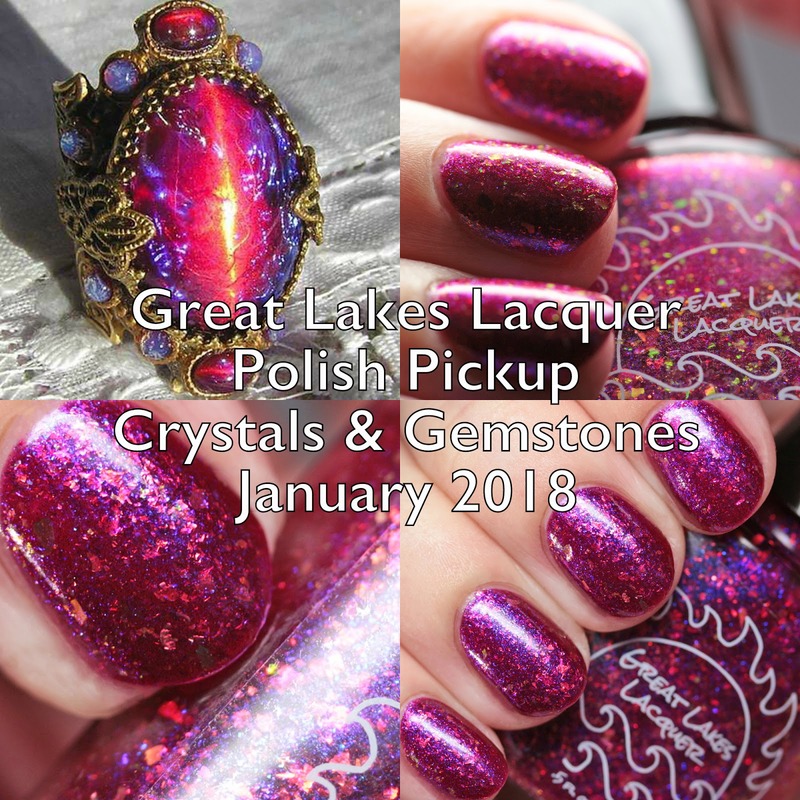 I just totaled what I think I want from the Polish Pickup Crystals and Gemstones January 2018 launch and it wasn't funny at all. Oops! The Polish Pickup is a monthly pop up shop that features indie polishes and care products on a theme. There are so many amazing jewel inspired offerings and I am going to show you the first one today. 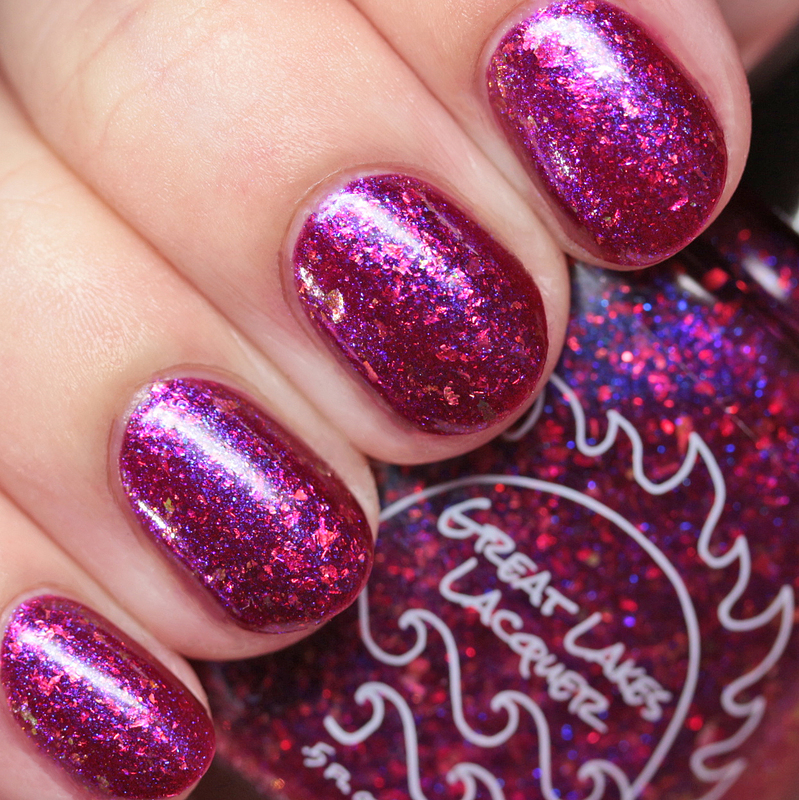 Great Lakes Lacquer's Glass on Fire is a stunning melange of neon-bright multichrome iridescent flakes. You can buy this, along with many other products, starting January 5 at 11AM EST through January 8 at 11:59PM EST. Let's go! 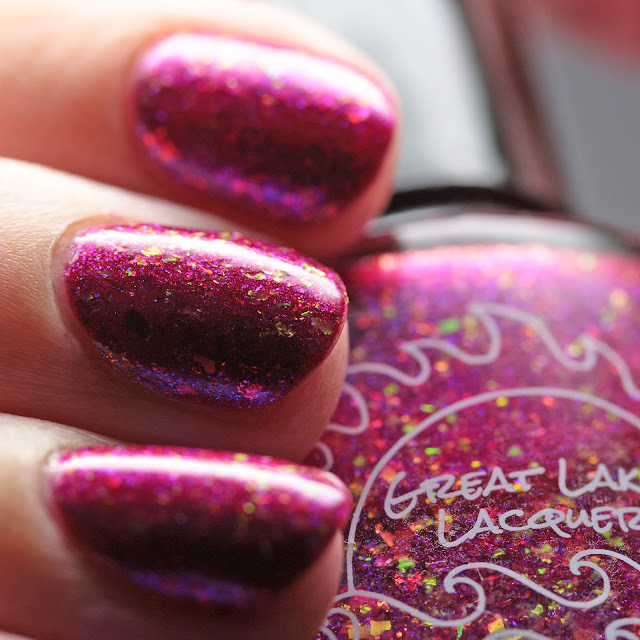 Great Lakes Lacquer's Glass on Fire is a magenta with orange-to-green multichrome iridescent flakes and blue-to-magenta duochrome microflakes. I wore it in three thin coats and it had a nice formula. It dries with a little bit of texture due to the flakes, but smooths out with a single layer of top coat. Holy moly, guys! 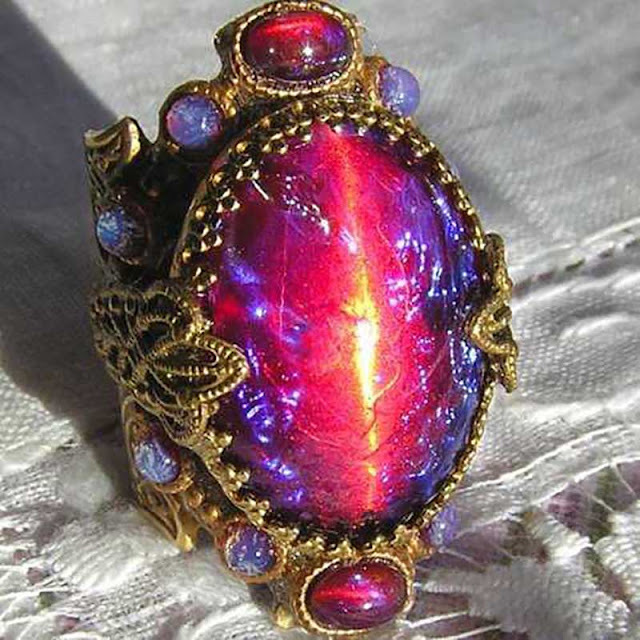 This is SO bright and amazing. And it channels the inspiration perfectly. The flakes literally look neon. I don't know how it is possible to have flakes be multichrome and neon-like at the same time. Magic, no doubt. Polish Pickup Crystals and Gemstones January 2018 begins January 5 at 11AM EST through January 8 at 11:59PM EST. I am simply in love with this, and 2342 other polishes in the release. Just kidding. Only 50 odd others? Are you in the same boat?